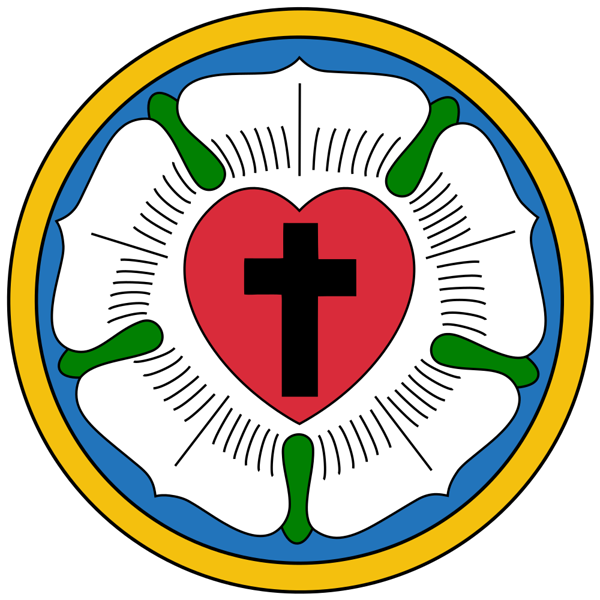 On February 6, 1921 members of Latvian Lutheran congregation in Laura voted in support of building a new church in their community. Over the next several years funds were actively raised through generous donations from all over the region. A sizeable plot of land of over four acres was gifted by community leader Peter Zarri, whose late father Arthur Zarri had a vision for a church since the community was established in 1860’s. The ground was broken on July 26, 1925. Construction took several years. 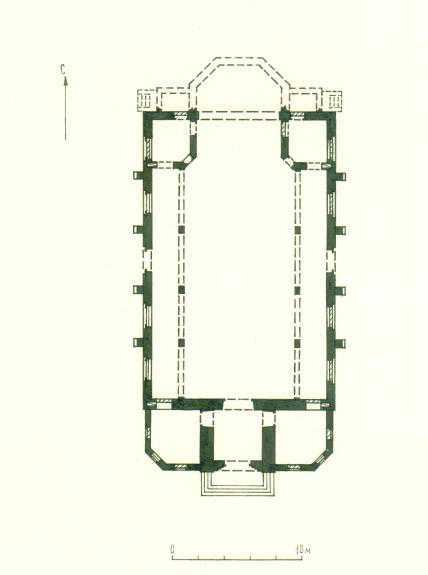 Completed church was distinguished by its spaciousness and simplicity of interior design. It had plenty of bench seating for parishioners and boasted an impressive pipe organ. 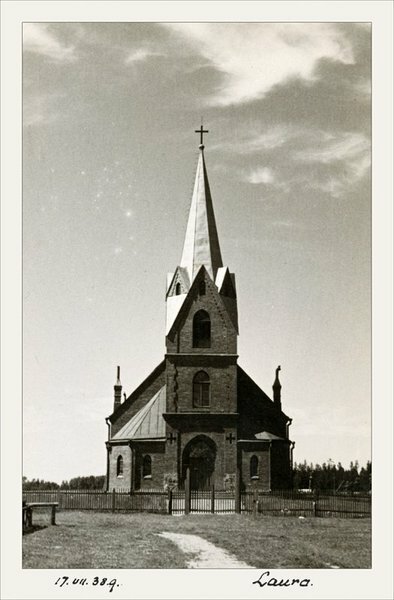 Laura Lutheran church had regular services for the congregation all the way until January 1945. It was the place where members of the community celebrated all their life events. 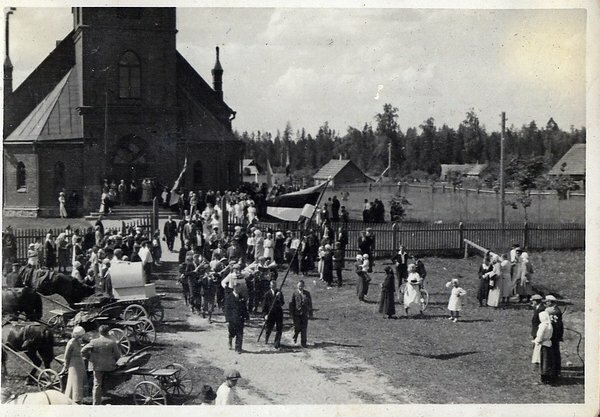 On January 16, 1945 town of Laura was transferred from Estonia to jurisdiction of Pskov region of Russia. 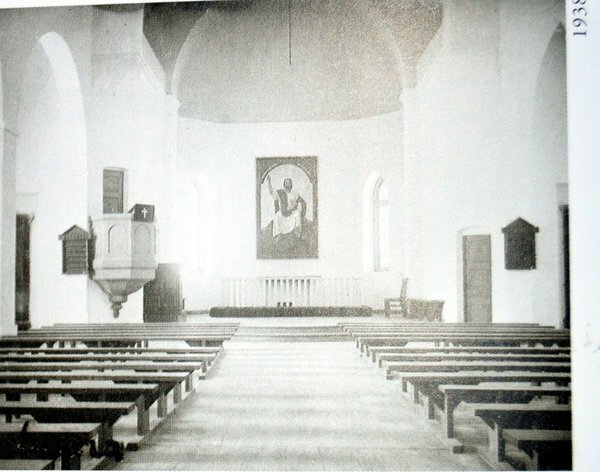 The church was subsequently closed by the Soviet authorities. In the decades that followed church was used as a warehouse, grain storage facility, and a parking garage for trucks. The steeple was dismantled. Windows, doors, floors, and ceiling beams removed. A ray of hope shined through with the advent of Perestroika in late 1980’s. 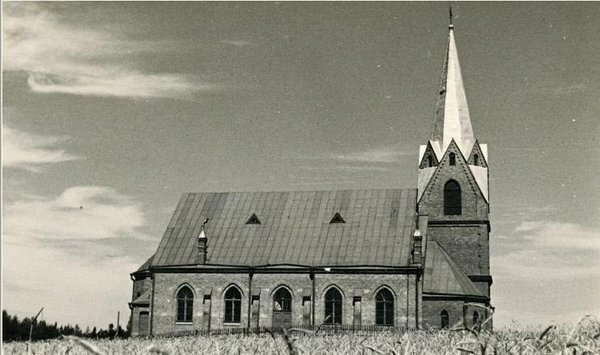 The head of a local soviet collective farm led efforts to rebuild the church. The roof was covered anew with galvanized metal, and interior vacated from all farm machinery. Unfortunately, early 1990’s was marked by significant financial hardship throughout Soviet Union, and all further renovation work seized. In recent years the region is seeing a spiritual revival. The church building is once again in the caring hands of local Lutheran activists. Much work is needed to be done before the church can return to its former glory. 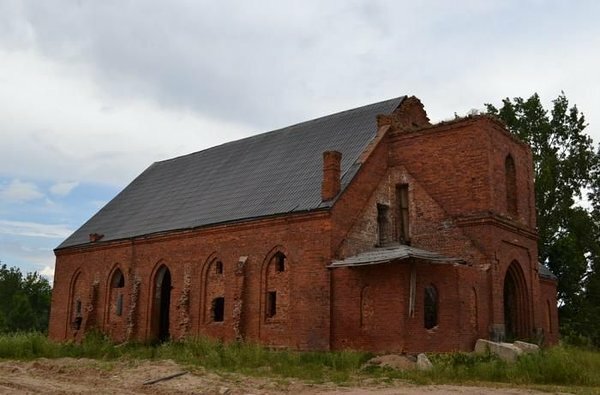 There’s an ambitious renovation plan signed off by an architect, and the group of volunteers obtained a blessing and the letter of approval from Archbishop of the Evangelical Lutheran Church in Russia.